Estate Grown, Estate Pressed, Estate Bottled. Everyone loves a good extra virgin olive oil and Gemma Iannoni of Giannoni Selections in Newburyport, MA knows her olive oil. We are excited to collaborate with Gemma again as she introduces an EVOO produced in Umbria. We invite you to stop by our SoWa Showroom on Thursday, 9/28 (more details below) to meet Gemma and sample some EVOO. 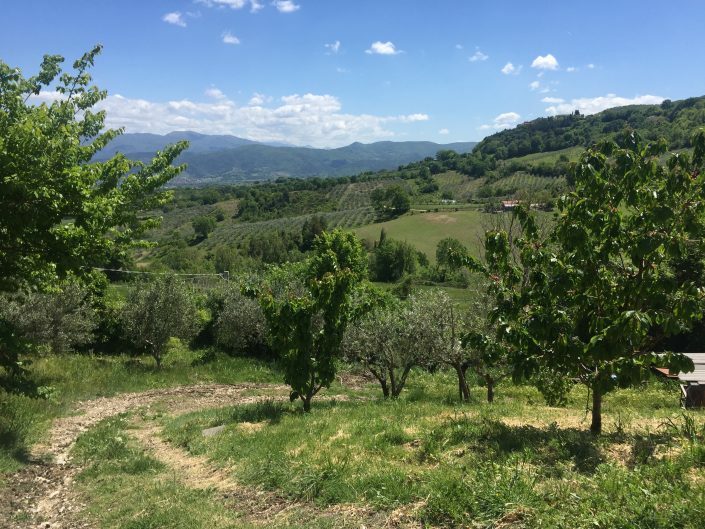 Before you attend the tasting, read on to learn how Gemma discovered Frantoio Forsoni Massimo and why you need to try this EVOO. 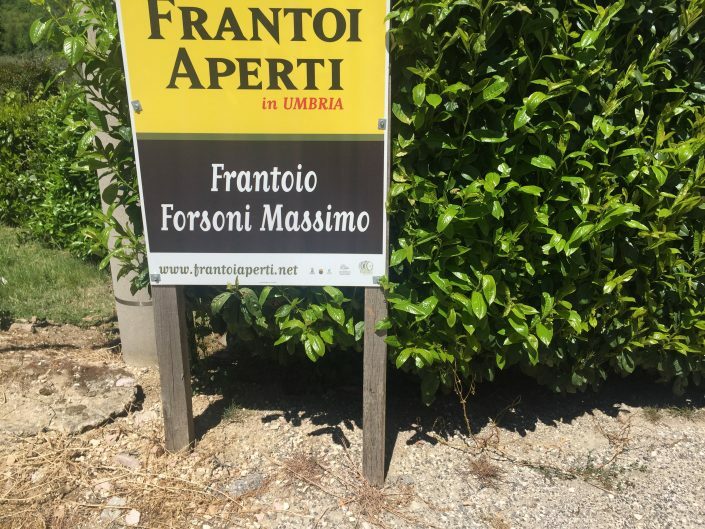 I came to know Massimo Forsoni through his aunt, Dora Forsoni, a 68-year-old winegrower/huntress and proprietor of a small winery in Montepulciano (SI) called Az. Agr. Sanguineto. Before I moved to Italy to set up Giannoni Selections in 2014, I tried to attend Vinitaly -- Italy’s annual wine trade show held in Verona -- as often as I could, which meant tasting with Dora and her life partner Patrizia almost every spring. Not only was I introduced to Sanguineto’s sangiovese-based wines in Verona, but I inevitably got to know other extensions of Dora as well, namely her wild boar salumetto and the extra virgin olive oil made by her nephew, Massimo. Dora Forsoni may be minute in size but she is by no means diminutive in character. As the commander-in-chief of her local, all-male hunting chapter just northeast of Montepulciano, she is a ball of conviction. When hunting, she evidently spends most of her time perched in trees, waiting for her prey. (This way the beast is unable to sense her odor and presence as she attempts to seal their fate.) 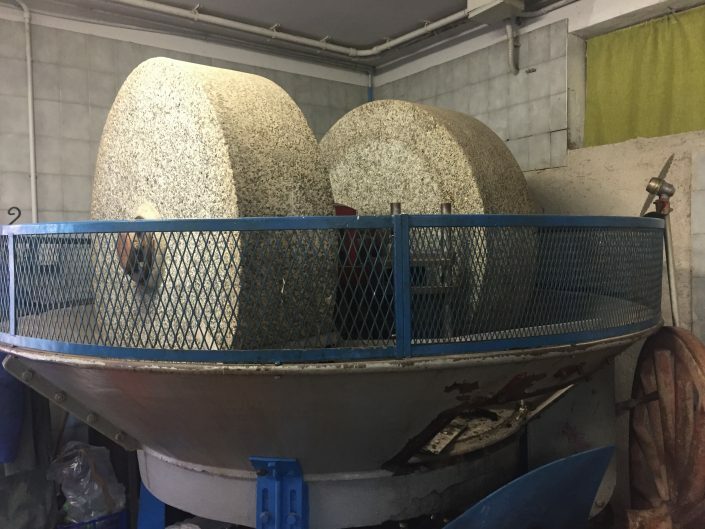 She essentially takes a sledgehammer to many of Italy’s conventions, especially those regarding viticulture, family, gender, and sexual orientation. Upon meeting her, it becomes obvious enough to just embrace all aspects surrounding Dora, including the olive oil. We managed to develop a rapport against the backdrop of a dizzying trade show, unignorably distant from her Tuscany. Even though we connected infrequently, Dora remembered that I worked in a specialty foods/wine store and was sure to have me taste Massimo’s recent harvest, preparing a small plate of bites to accompany her wines. It always included a salame that she had hunted and cured herself - wild boar - and Tuscan bread, you know, the kind without salt, drizzled with Massimo’s peppery, extra virgin olive oil. However, she never bothered to explain what distinguished his extra virgin from others. Maybe it was my Italian back then? I don’t know. For Dora, a product is either good or not good and beyond that there isn’t much discussion. In her sort of tough, butch, Central Italian way she had decided that if I recognized that Massimo’s oil was good, I could sell it. This past April I revisited Sanguineto’s Vinitaly stand, this time as an importer and proprietor of my own company. It was as if I was trying Massimo’s extra virgin for the first time, considered it for Giannoni Selections’ portfolio rather than for that specialty foods shop in Cambridge. Sensing this, Dora called Massimo on the spot and handed me her cell phone. I was a little taken aback; it was impossible not to feel pressured with the producer on the phone. But it was Dora! And Massimo was lovely! We chatted for a few minutes and I made tentative plans to visit him in Umbria few weeks later. As I was saying goodbye, it occurred to me that even if I wasn’t necessarily looking to import olive oil before April, it would be difficult to say no to a producer like Massimo Forsoni who takes estate extra virgin olive oil to another level. It’s extremely rare to find an extra virgin that is cultivated, pressed, and bottled by the same person and produced on such a small scale. Perhaps more importantly, the quality of Massimo’s oil speaks for itself - just as Dora instructed it should. Join us at our SoWa Showroom on Thursday, September 28th from 5:00 to 7:30pm for a tasting of Frantoio Forsoni Massimo's extra virgin olive oil. Email or call us with any questions!